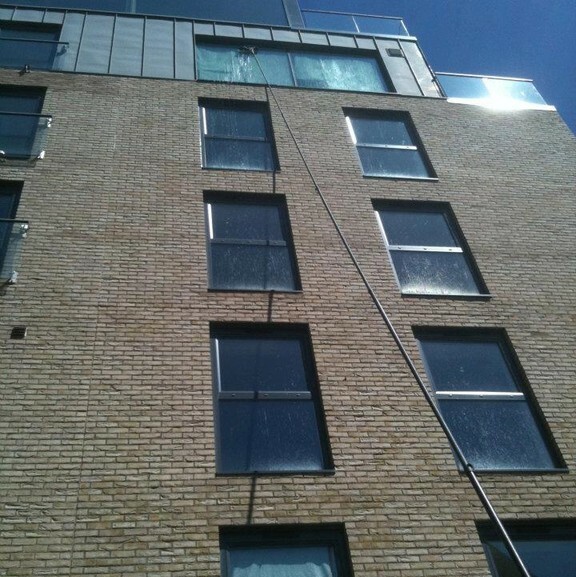 We make sure that all the dirt and muck is removed when we clean your windows. 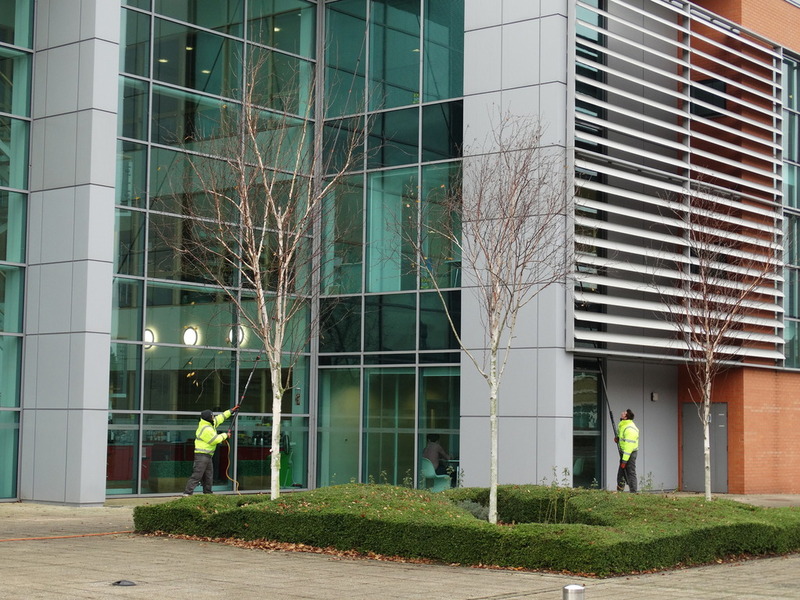 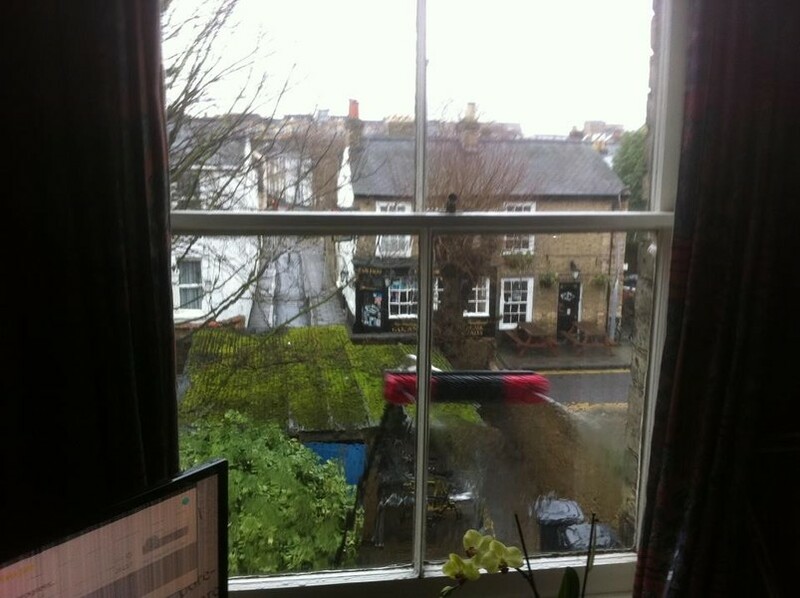 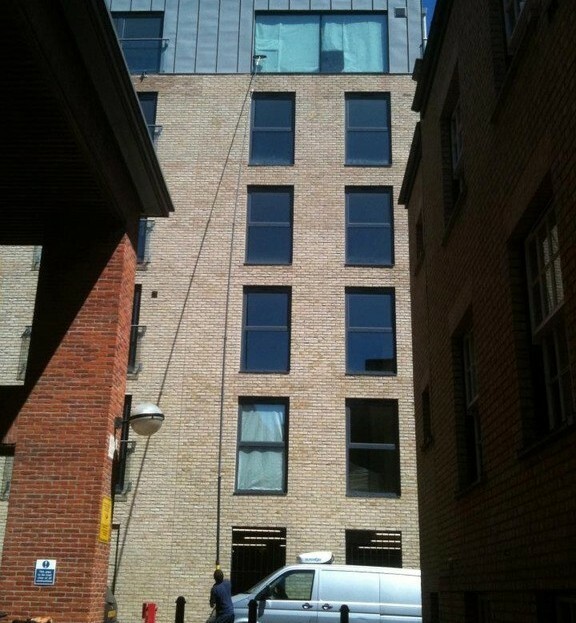 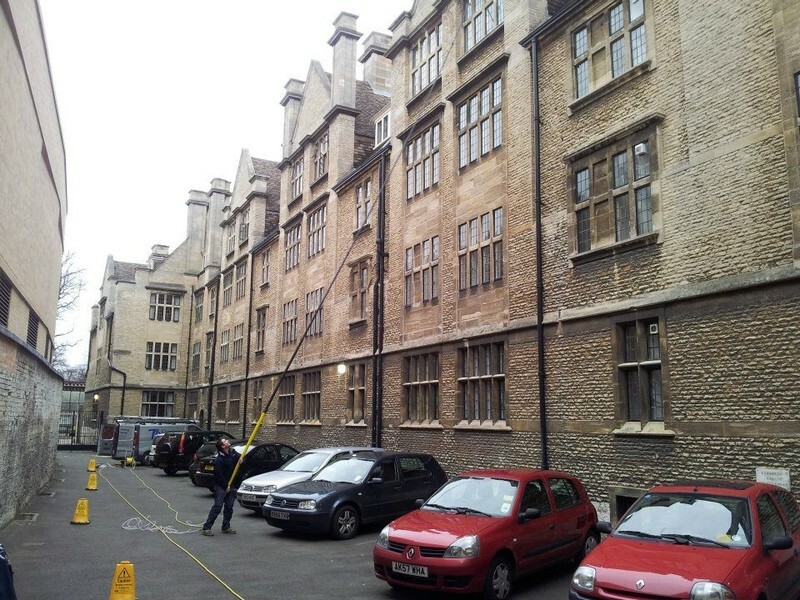 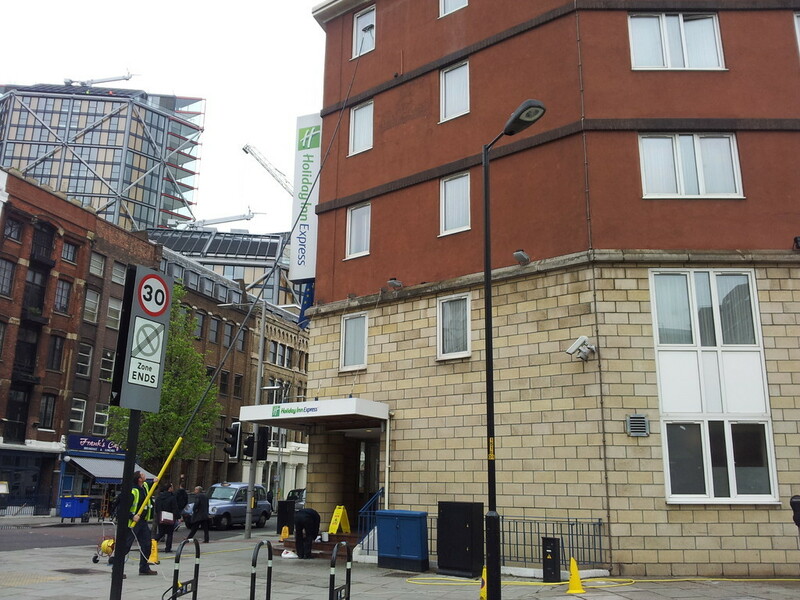 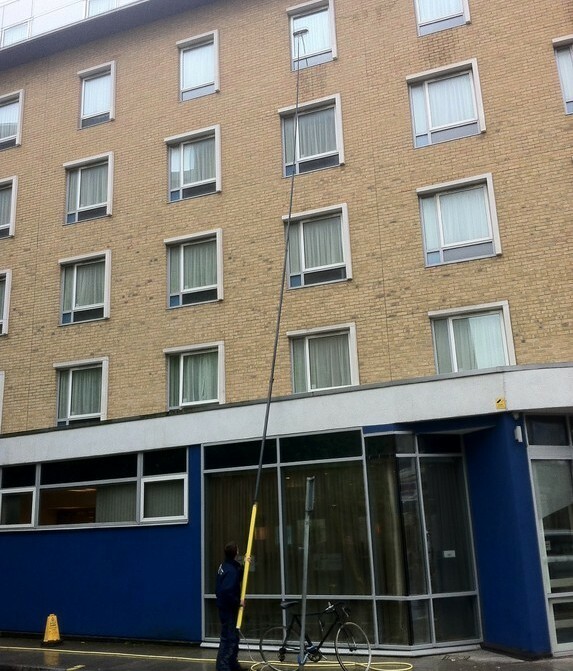 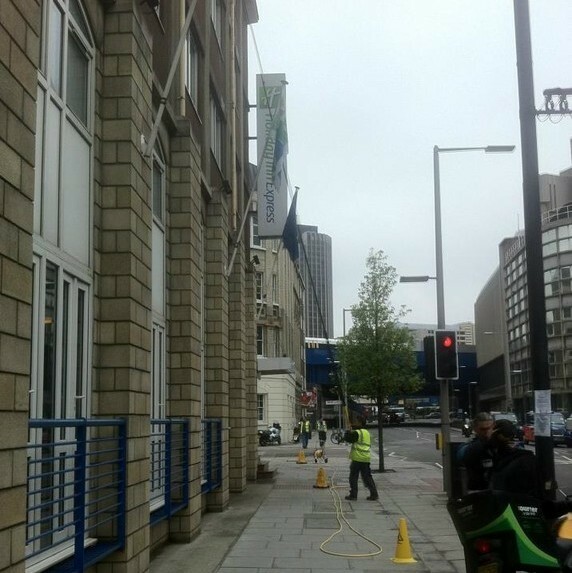 Using Water Fed Poles and Pure Water system we can quickly and effectively clean windows. 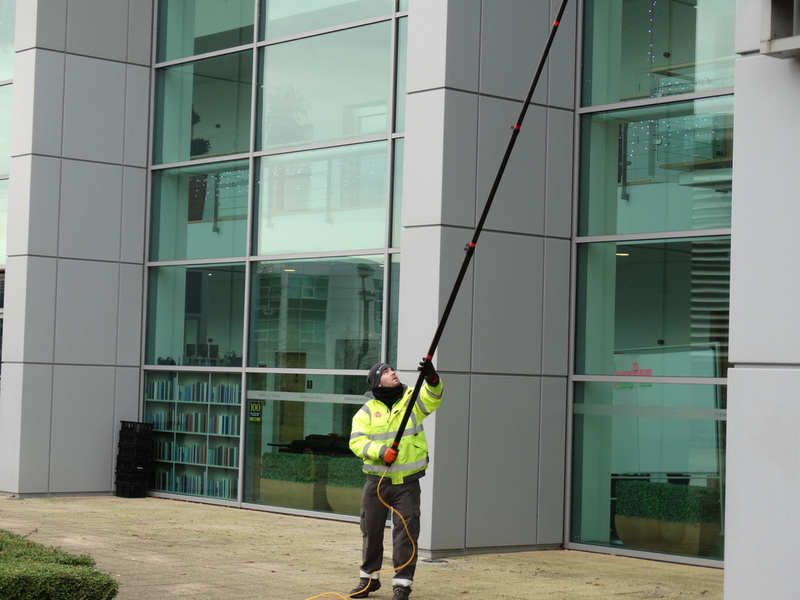 Height is no restriction to us, our water fed poles can reach heights of 25m (83ft) and we're insured in the use of ladders up to 15m (49ft). 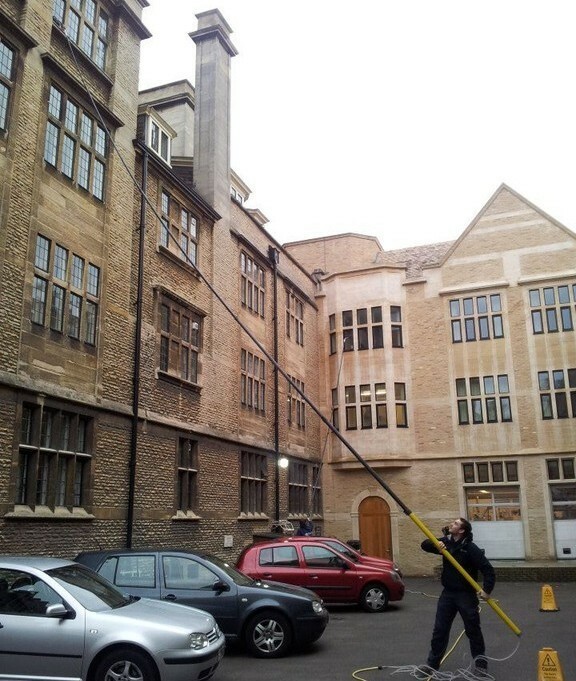 If your windows are higher than this - we also have IPAF trained staff and can provide various powered access platforms﻿﻿ up to a maximum height of 112m (367ft). 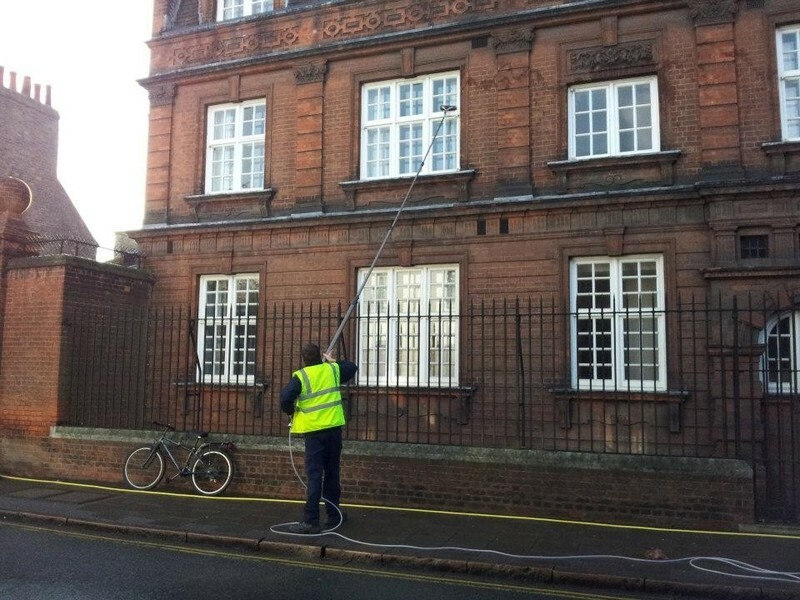 If you have beautiful stained glass windows in your building or old fashioned periodic windows we have the experience and care to clean them properly without damaging them.